Please enter your username or email address used for registration. Safety Training You Can Trust! American Safety Training Institute certifications are issued worldwide. 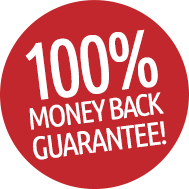 All of our safety training programs are backed by our 100% money back guarantee. If for any reason an American Safety Training Institute program is not satisfactory we will issue you a full refund. Please feel free to contact us if you have any questions regarding our policy. When handling an emergency first aid event, it’s good to know that you have received certified training from a nationally recognized organization. American Safety Training Institute certifications have been issued to participants throughout the world from our headquarters in Atlanta, Georgia. After successful completion of each course exam, participants receive a ready-for-print digital certificate and certification card(s), signed by an American Safety Training Institute instructor, which are valid for 2 full years. Participants may take the course exam as many times as needed to pass; however, ASTI recommends a thorough review of course materials before retaking each exam. The information you provided is not in our system. Please try again.